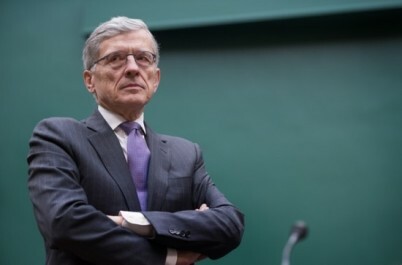 FCC Chairman Tom Wheeler has agreed to appear before the House Oversight and Government Reform Committee today to testify on the commission’s imposition of Title II regulation on the internet. He as also agreed to testify before the Senate. Wheeler had stonewalled Congress for weeks, refusing to testify, while ramming through a 300-plus-page set of rules giving the FCC control over the internet, based on a Depression-era law regulating telephone service. The FCC essentially declared authority over the entire operation of the Internet in direct contravention to 1990s laws that created a hands-off approach that led to explosive growth in electronic communications and huge economic gains. The congressional hearings will likely focus much attention on just how much influence the White House had on the rules, as Wheeler had moved relatively cautiously until President Obama began making much louder noises about the internet late last year. Congress would also do well to consider the influence of certain powerful search-engine companies that apparently wrote parts of the FCC’s rules. As a government entity free from commercial considerations, the BBC is able to ignore the concerns of both audiences and producers. As Fellowes’ decision shows, competition provides the best results for both producers and consumers. If only Fellowes were running the FCC…. Both Last Man and Secrets & Lies are solid DVR gainers so it’s hard to judge their performances by Live+same day numbers. The premiere of Last Man jumped to a 3.8 in the demo in Live+7 to become the second highest rated comedy debut this season behind ABC’s Black-ish. When Live+3 viewing is factored in, the second episode of Last Man cut its drop from the premiere from -25% to -9%. The comedy, whose premiere also nabbed 1.3 million streams in the first three days, appears to be very well suited to digital distribution but it will be a good case study to see if edgy, serialized comedies can survive on broadcast TV. Secrets & Lies’ Live+3 delivery also has been steady (2.1, 2.0 for the first two airings), while Battle Creek could not close the Week 1-Week 2 gap with time-shifted viewing (1.6, 1.2 in L+3). The Fox comedy The Last Man on Earth seems to me to have the most appeal for younger audience members, and that is being borne out in its success in digital distribution. As Deadline Hollywood notes in regard to Last Man, the differing fortunes of these three shows will provide useful information about the effects of television’s changing audience demographics and distribution media. To wit, CBS’s huge success with older viewers makes it the king of conventional TV, but whether that will translate to the changing digital marketplace is an open question. The answer will determine what sorts of programs will prevail as technological change kills off the current TV distribution system and replaces it with a less-structured, internet-based market. That’s pretty authoritarian, Bradley. So like the current FCC. I think everyone should have a favorite FCC document. Including you, Karnick. My favorite FCC document is “Report on Chain Broadcasting,” 1941. Haha, no, they’re all basically awful. Do you have a favorite FCC document? No. However, my characterization of the FCC rulemaking is accurate. This is not a matter about which there is any doubt, and even pro-net neutrality advocates are appalled by Wheeler’s ppwer grab. —Have you read all 300 pages yet?